This is the latest class I have completed in the Altenew Educator Certification Program. I actually own the stamp in one of the lessons and was excited to put it to use! I purchased these Artist Markers a while back when they were on sale so this class was a great reason to spend some time working with them. I began by stamping this image from the Forever and Always stamp set in Permanent Black Crisp Ink which is alcohol marker friendly. 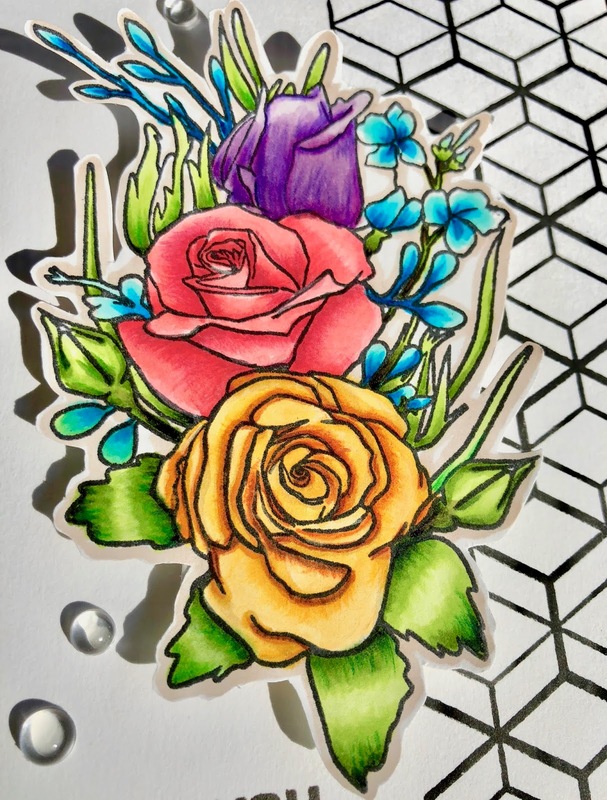 I coloured the florals using markers from all 3 sets and following the very helpful Project 3 video lesson in the class. Image is then fussy cut and adhered with foam adhesive to add dimension. I then stamped a portion of the card base with the Hexagon Pattern Play stamp. 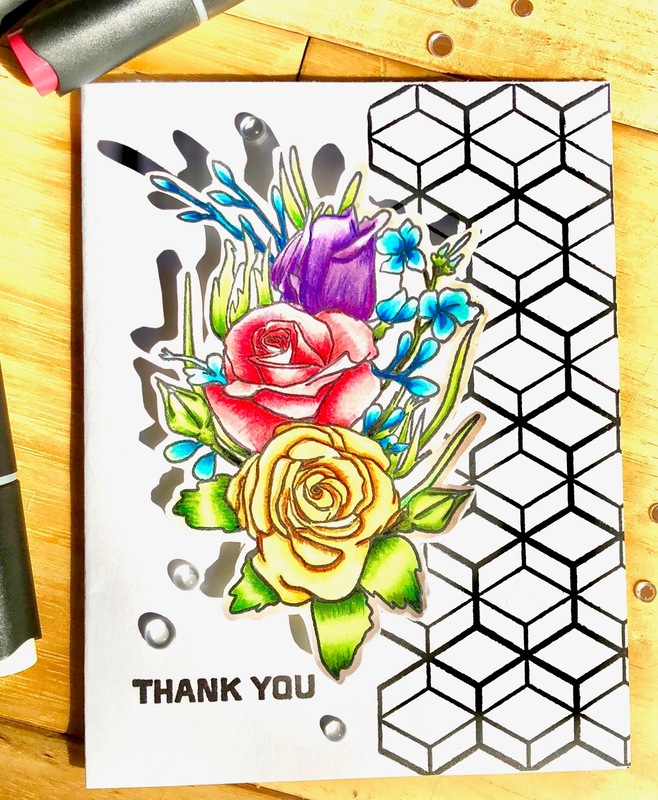 Sentiment is from the Beautiful Inside stamp set. A few Studio Katia clear drops complete the card. 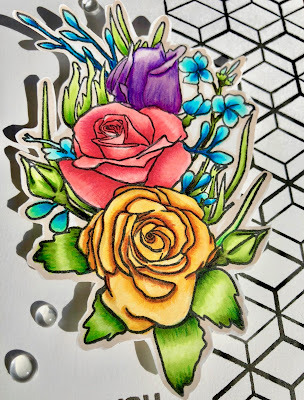 BEAUTIFUL coloring, Rosie! I love how you used the Artist Markers (arne't they fun and easy to use!!?)! 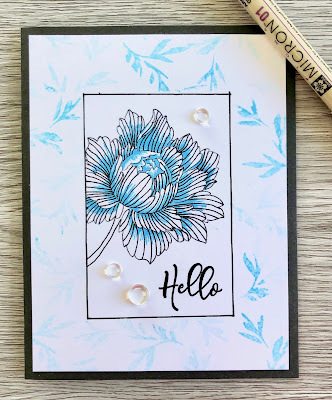 I also love how you incorporated the background stamping! 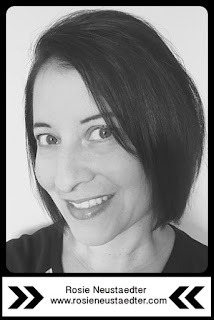 Thanks so much for entering your beautiful work in Altenew AECP assignment Gallery. Beautiful colors and design. Well done!